Willians Arce | Abrahamse & Company Builders, Inc.
Willians began with Abrahamse in March of 2011. He is an incredible carpenter and can work wonders finishing drywall on our projects. Often you will find project managers and supervisors bartering for him. He has played an important role in our success at the Westminster-Canterbury of the Blue Ridge. 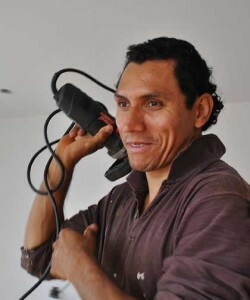 Willians is passionate about his family and recently married the love of his life, Erlinda. On the weekends you can find him on the soccer field.